Treat them like royalty with this gallant ensemble of decadent gourmet treats! 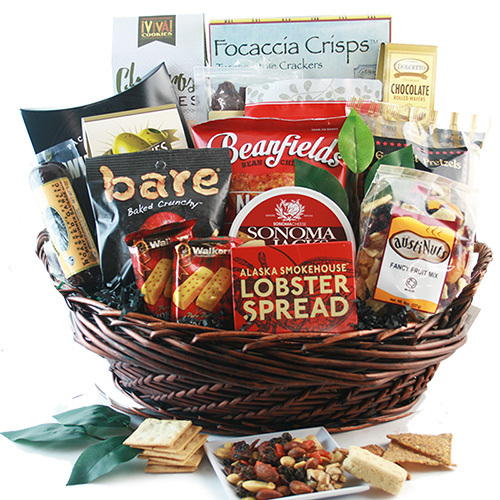 This prestigious basket is bursting with epicurean delicacies that are Fit for a King. A mouth watering gourmet collection from decadent cheese and crackers rich and delectable chocolates. It will be a crowning moment!